Color photography was first pioneered in the mid-1800s, but the processes for capturing and reproducing color images were time consuming and difficult. The advent of the Autochrome process, developed by French brothers Auguste and Louis Lumière in the early 1900s, made color photography more widely accessible, even to amateur photographers. That said, when the First World War began in 1914, by comparison to black and white image capture, color photography was still relatively rare. 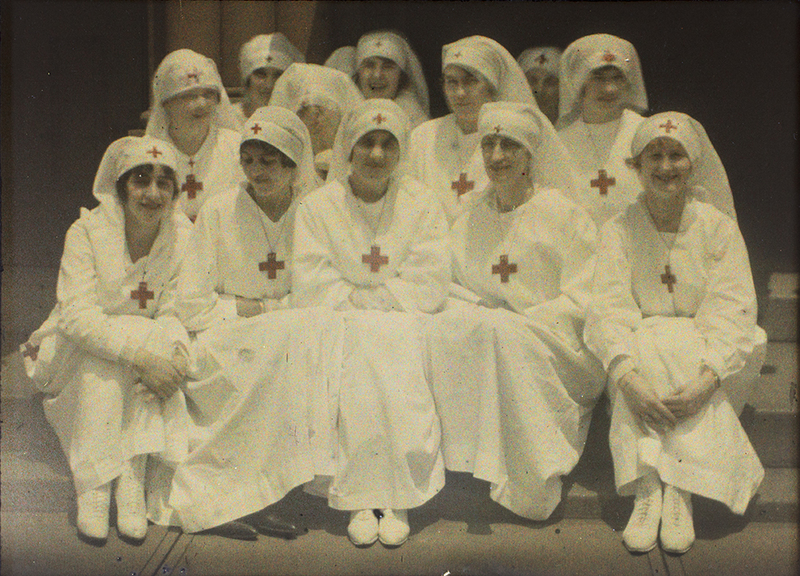 As such, most documentation of the Great War that we see today is in black and white. There were, however, a handful of photographers working in color. 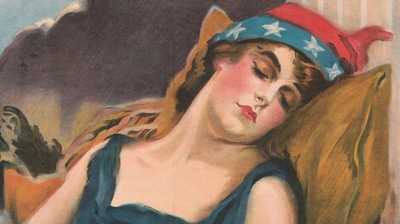 One of those was American Charles C. Zoller, a Rochester, New York-based furniture dealer. 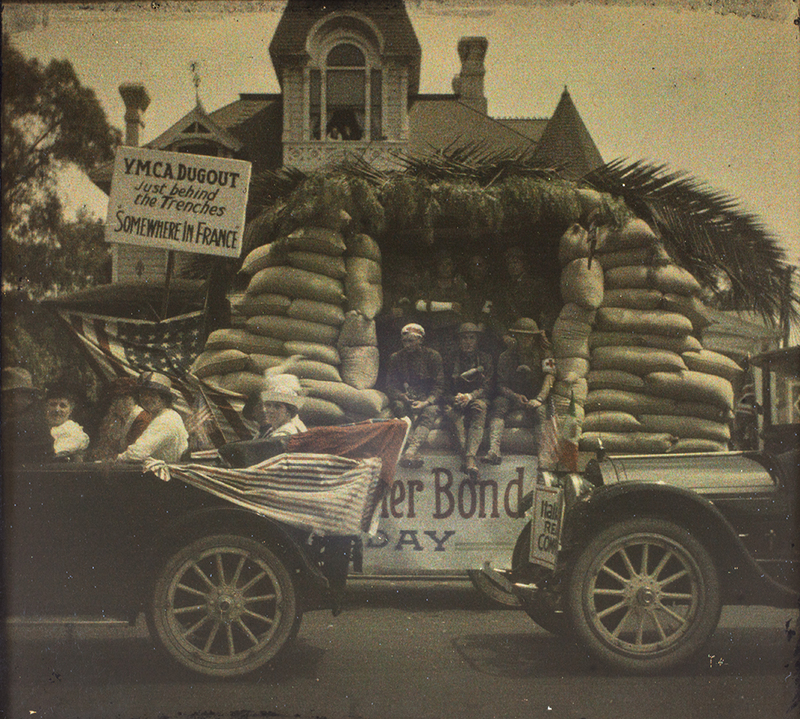 In the days leading up to the U.S. entry into the Great War in 1917, and in the remaining days of that war, Zoller captured many images of preparations on the American homefront. Browse a collection of those photographs in the gallery below. Incidentally, Zoller is also credited with taking the first color photograph of actor Charlie Chaplin. 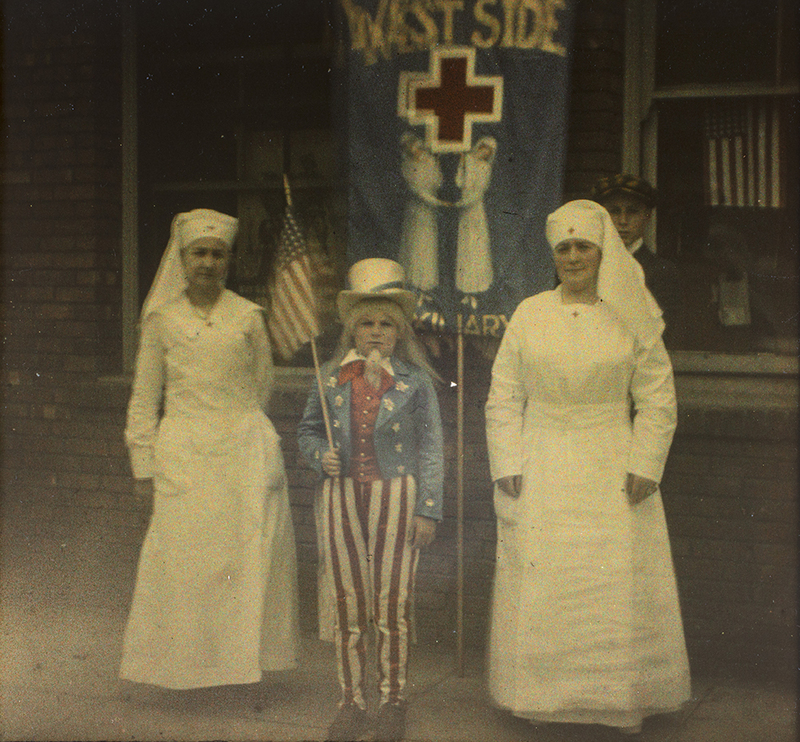 Two nurses and child dressed as "Uncle Sam" in a World War I Support Parade in Pasadena, California, 1917. 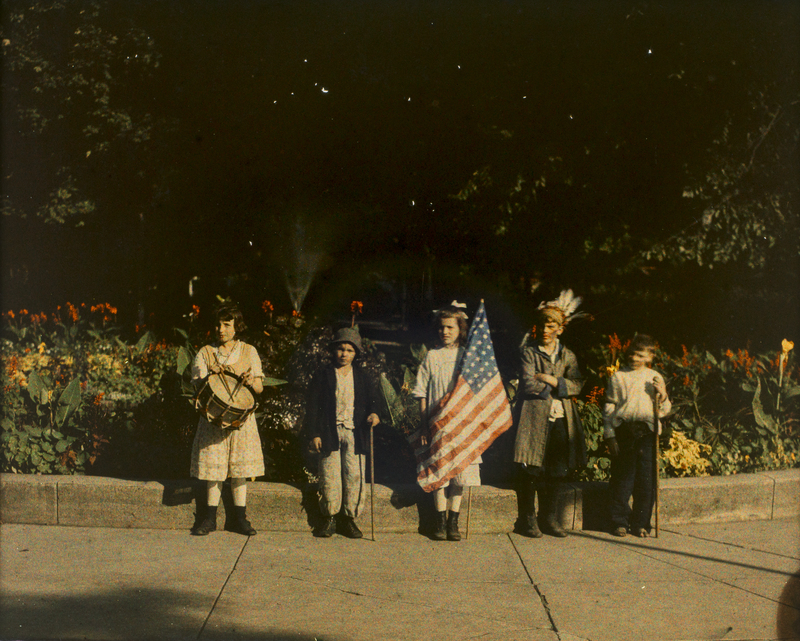 Children in costumes with flags at Jones Square Park in Rochester, New York, 1918. 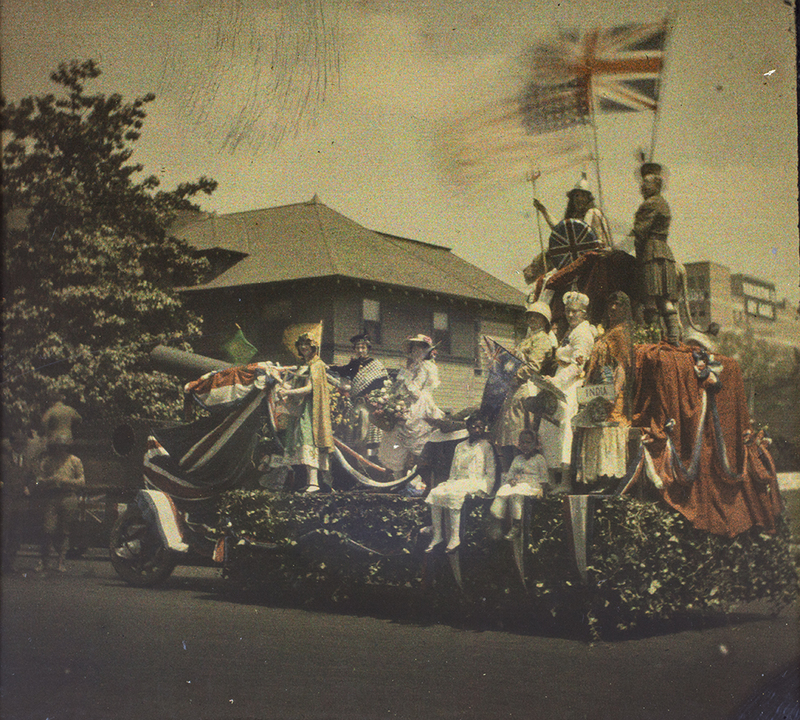 World War I Support Parade, 1917. 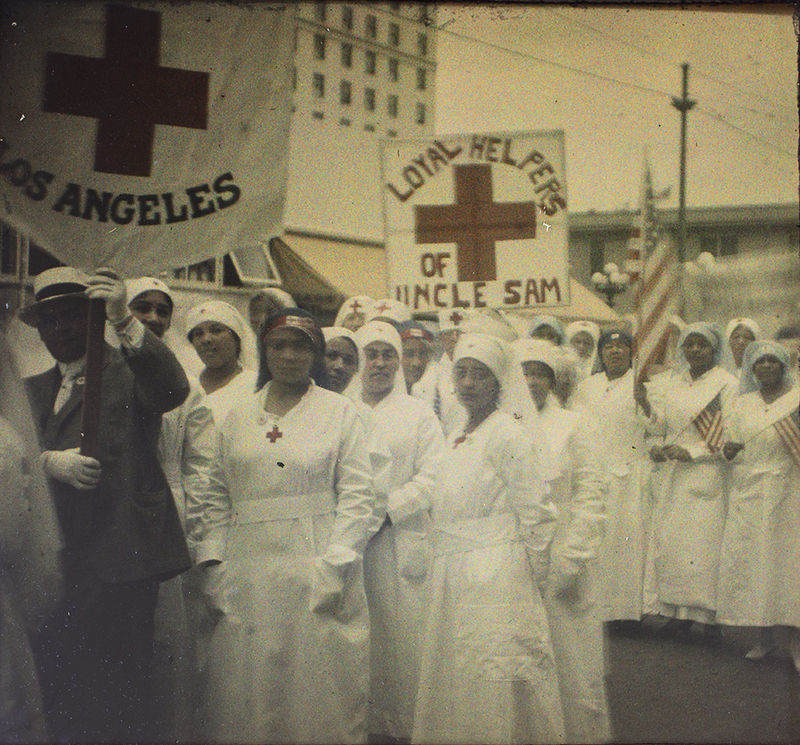 World War I Support Parade in Los Angeles, 1917. 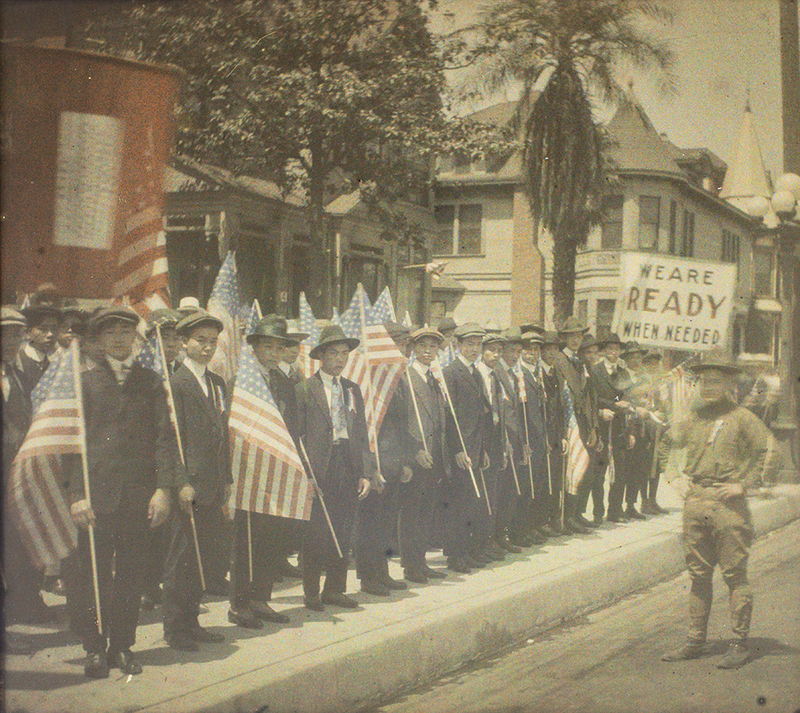 World War I Support Parade in Los Angeles. 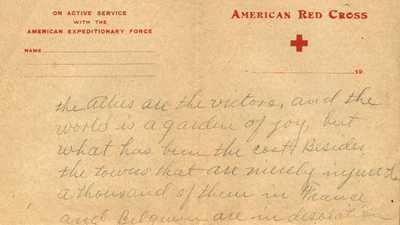 "Selling" the Great War to reluctant public fell to the Committe on Public Information. 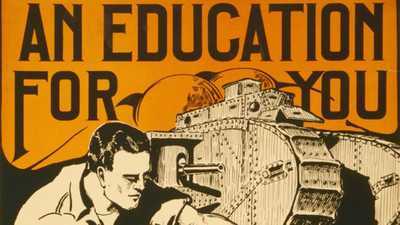 One of its initiatives: millions of propaganda posters.